The Northern Territory government has reached its goal of offering remote NT solar to ten remote Aboriginal communities – saving the usage of over one million litres of diesel fuel and representing a $27 million dollar investment in renewable energy. ‘Tranche one’ of the program has been completed – according to EcoGeneration, it will generate 3.325MW at the ten remote Aboriginal communities – via the installation of 10,000 solar panels. 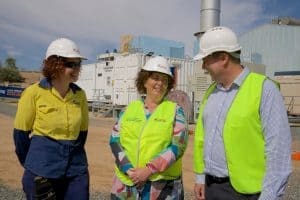 It’s being jointly funded by ARENA (Australian Renewable Energy Agency) and the Northern Territory government; with its estimated cost over the full timeline of the program at $55m – in order to save the usage of 94 million litres of diesel fuel. The project has been managed by Power and Water and is called Solar Energy Transformation Program (SETuP). The current remote NT solar farms will provide approximately of 5000 kWh/day to power more than 570 households, with another 12 communities in line to receive panels, Chief Minister of the Northern Territory Michael Gunner has advised. Ivor Frischknecht, the ARENA CEO, said “We’ve seen the benefits of renewable energy off the grid with mining and we know Solar SETuP can deliver the same results for Aboriginal communities”. 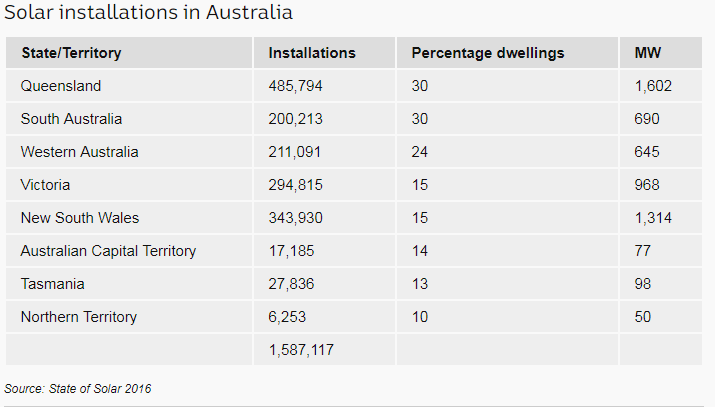 As the installation of solar energy in the Northern Territory grows (despite receiving an average of nine hours of sunshine every day, year round, they have been lagging behind on solar PV installations), expect to see a lot more stories like this. It’s great to see the government and ARENA helping minimise the usage of expensive and polluting diesel fuel in favour of renewable energy. Have a read about the Dubbo Solar Project if you want to read more about solar power for Aboriginal communities.